In English Premier League, Arsenal stumbled once again. This time, At the field of West Ham United, the apprentices of Arsene Wenger lost points. 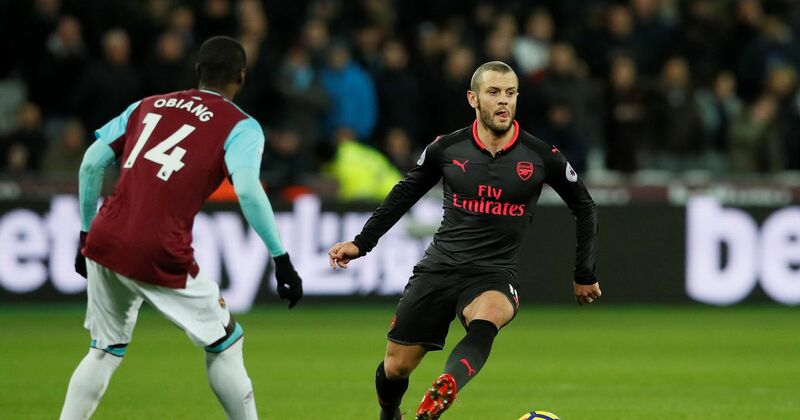 In Wednesday night, the Gunners played against the most lower ranked team of EPL named west Ham United where Arsenal made a draw against West Ham. Both teams failed to score in the match. Through the match, the team has played three consecutive matches in the season of Premier League without victory. In last week at the home venue, against Manchester United they faced a terrible defeat by 3 – 1. Later in Sunday against Southampton, Arsene Wenger team made another draw by 1 – 1. West Ham United was placed in 19th position and at the home venue, since the beginning of the match, Arsenal dominated the ground. They made total 21st shots where just three of them were to the target. But also they did not get most desiring goal. Arsenal which team has played total seventeen matches and got just nine victories. Besides, three matches finished with draw and so, they have ended up with 30 points sharp. On the other hand, Swansea City was defeated by Man City and City has made a record of winning consecutive fifteen matches in Premier League. They are in top position on the point table and their point is 49 by playing 17 matches in the season. In another match of the league, through the only goal of Romelu Lukaku, Manchester United got a victory over Bournemouth and so, their point is 38 and they are placed in 2nd position on the EPL point table. COnsists of 35 points, Chelsea is in 3rd position. By defeating Brighton by 2 – 0 goals, with 31 points Tottenham Hotspur is in 4th position. On the other hand, Liverpool made a draw against West Bromwich Albion and their point is also 31. Burnley is in 6th position by holding same points.